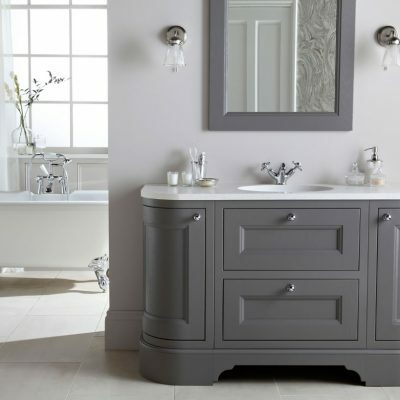 If you are looking for the classic bathrooms look and want your bathroom to have an elegant, timeless feel to it then Harrogate Bathrooms have the products and design knowledge to make this a reality. 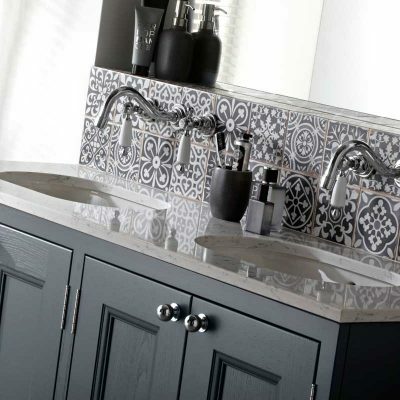 We can provide simple, clean lines to the pottery from Villeroy & Boch, Abacus and many more manufacturers. Wall mounted or free standing toilets with soft close seats and ranges of furniture to create the look you are after but provide practical storage space. The elegant timeless quality of Burbidge Tetbury range comes in a choice of 25 beautiful colours with a handle choice to suit many different styles. The detail on this range is exquisite, with inlaid doors and detailed beading and the option of decorative plinth to complete the look. For a simpler look you can’t go wrong with the harrow, take away the detailed beading and change to a lay on door to give a slightly more contemporary look whilst retaining all the classical charm. Or consider the distinctive hand crafted washstands from the Langton range. These washstands have a slatted storage shelf and a choice of worktops to add a wonderfully luxurious touch to your bathroom. All the Burbidge ranges have solid timber dove tailed joints to any drawer boxes and are hand finished to a high standard.